What used to be a beautiful lake is now more like a big mud hole. 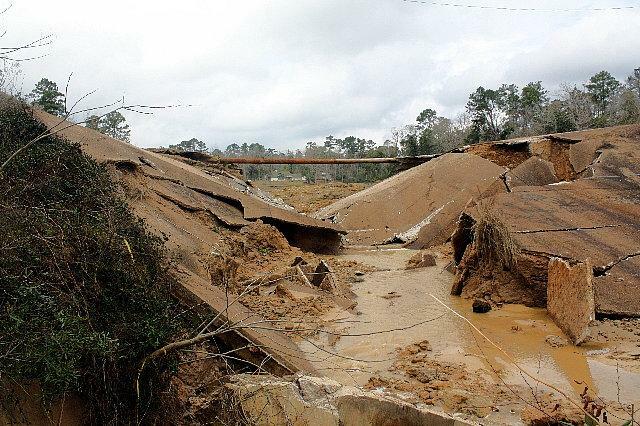 Dam in Wild Country Lake Estates Gives Way to Total Failure, ACE, February 21, 2010 - A dam that has been damaged since 2008 finally gave way on Thursday, February 18, 2010 at around 10:30 at night. According to local Fireman, Ralph Ellis, he got the call on Thursday night when the dam gave way. The dam was originally damaged when Hurricane Ike came through Polk County in September of 2008. Commissioner Bob Willis has been working with state and federal officials to get enough funding to repair the dam that is now beyond repair. 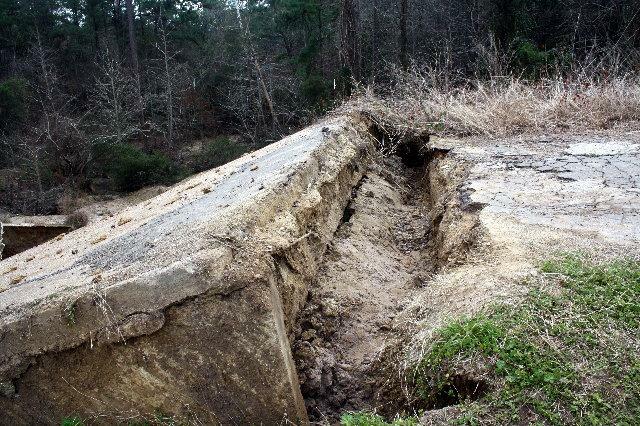 Since the dam has been damaged in 2008, the subdivision of Wild Country Lake Estates has been literally cut in half as the dam served as part of a main road through the subdivision that has entrances on US-146 and FM-2610. 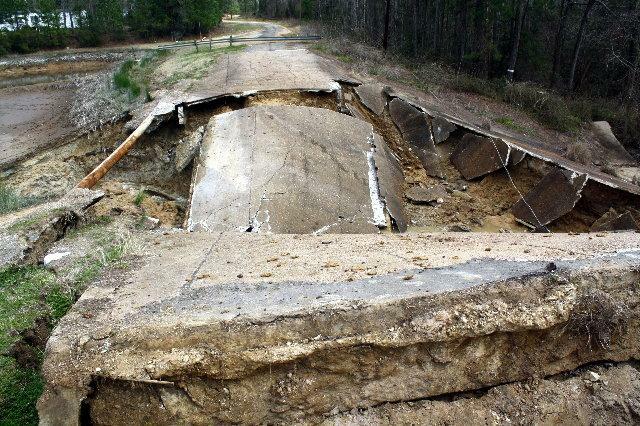 PolkCountyToday.com initially covered the story of the dam when it was damaged in 2008. 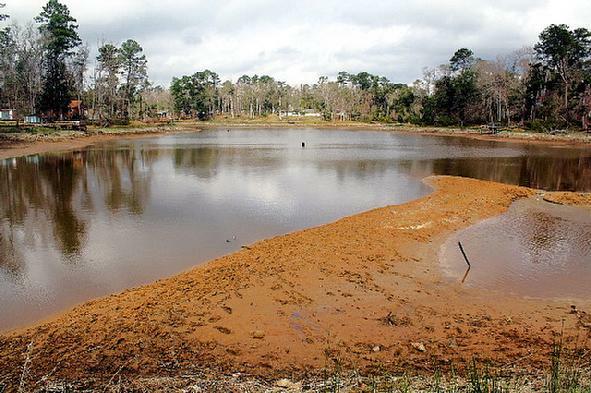 The dam that used to serve as part of the main road in Wild Country Lake Estates now has the subdivision literally divided since it was first damaged by Hurricane Ike in 2008. The dam literally pulled away from the road when it failed during the night on February 18, 2010.